The team faces off against a formidable villain nicknamed The Calculator (guest star Tom Amandes). 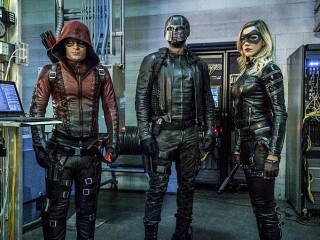 Meanwhile, Nyssa (guest star Katrina Law) makes her move and Roy Harper (guest star Colton Haynes) returns to Star City. Kevin Fair directed the episode written by Speed Weed & Beth Schwartz (#412).